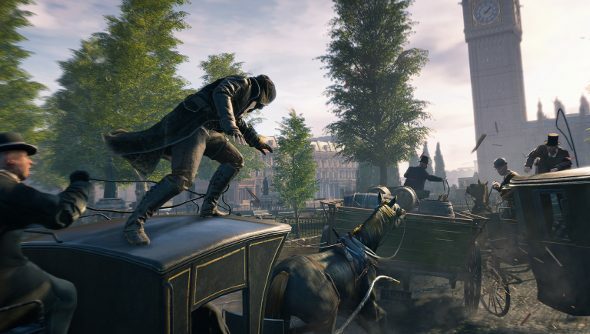 Ubisoft have revealed that, despite the length of time it took to get Assassin’s Creed Unity in working order and how much people seem to dislike Uplay, sales on PC have actually increased. According to the publisher, there’s been a five percent increase in PC sales since earlier this year, and sales on the platform now make up 20% of all sales, which is quite a lot. Indeed, only the PS4 accounts for a greater percentage, with 27% of total sales. The three current gen consoles represented 47% of sales earlier in the year, but that’s dipped to 40%. Like PC, mobile sales have also seen an increase, jumping from 6% to 18%.